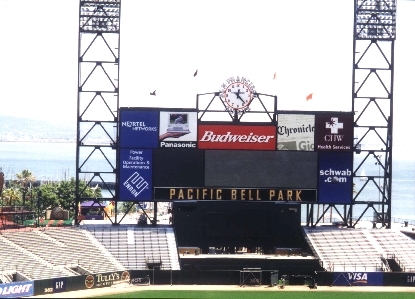 Welcome to my tour of Pac Bell Park, new home of the Giants. through the dugout, behind the scenes, and all around this beautiful new park. This is a view of centerfield bleachers and the scoreboard.